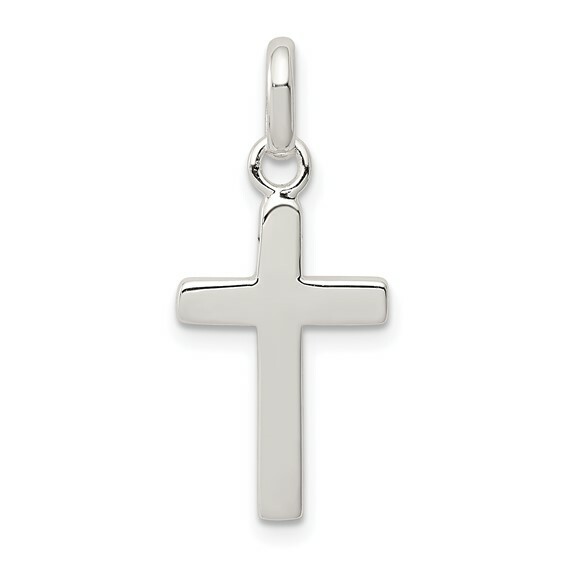 Cross charm is made of polished sterling silver. Flat back. Measures 11/16 inch tall by 3/8 inch wide without bail. This item is the size of a penny. Weight: 0.6 grams. Import. I put it on my silver bracelet.i actually thought it was a necklace when I ordered it .so I was disappointed when it came.delivery was fast it was only two days from placed order to doorstep. Unique small size with great quality.